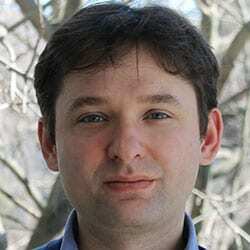 The Computer Science Division at Northwestern University welcomes new faculty member Dr. Konstantin (Kostya) Makarychev as an Associate Professor, beginning immediately. Dr. Makarychev’s position is one of the ten new faculty lines in CS which were announced in June 2016. Dr. Makarychev is a theoretical computer scientist working on approximation algorithms, beyond worst-case analysis, applications of high-dimension geometry to computer science, and combinatorial optimization for designing efficient algorithms for computationally hard problems. Dr. Makarychev joins Northwestern from Microsoft Research in Redmond, WA (2012-2016) and IBM Research Labs in Yorktown Heights, NY (2007-2012). Further details of his background can be found on his personal webpage. Please click here for details, and the announcement on Northwestern homepage.